In order to be successful, you need to have a strong conversion strategy that accounts for all aspects of your business. Here’s how mobile apps help! These days, technology is increasingly mobile. For instance, recent research shows that almost 80% of American adults now own some kind of smartphone. This is why it is important for your business’s digital marketing strategy to have a mobile focus. If you do not target mobile customers, you will be losing out on a significant portion of potential traffic. Ready to learn how to use mobile apps to boost your conversion strategy? Here is what you need to know. 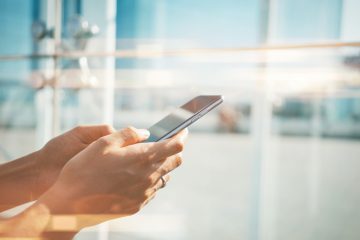 In addition to more Americans owning smartphones than ever before, Americans are also increasingly relying on cell phones for their internet activity. Statistics indicate that more than half of all searches are performed on mobile devices. This means that if you are working to drive sales on your website, chances are most of your customers will browse your site from a mobile device. At a minimum, it is important to make sure your website is mobile friendly. Mobile apps, however, can be an even better option for user experience. Apps are better optimized to run on mobile devices, which allows them to run faster. Also, unlike a desktop computer, consumers carry their mobile devices with them everywhere. If you target customers with a mobile app, you can increase the amount of time when your site is available to customers. This can increase opportunities for customers to make impulse buying decisions. 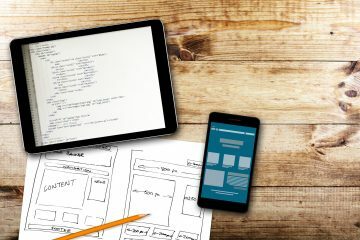 When you create a mobile app for your online store, you can add custom features to meet your customers’ needs. For instance, you can allow customers to scan a barcode to search for products they like to buy them again. Mobile apps also allow users to use convenient payment options, like Google Wallet, Apple Pay, or PayPal. These services allow for one-click buying, which makes it more likely that the user will make a purchase. Mobile coupons are another feature popular with customers. You can use your mobile app to provide customers with coupons they can use either online or in a brick and mortar store. One of the best features of using a mobile app for your marketing strategy is the ability to build customer loyalty. When a customer downloads your app on their device, your business can then send them push notifications. These notifications can alert them to available sales and special offers. This can also be a good strategy for motivating customers to come visit your store in person. You can also use push notifications to help encourage conversions. For instance, customers often start a transaction but then leave items in the cart without completing the purchase. If this happens, you can send them a notification to remind them of the items they were interested in. 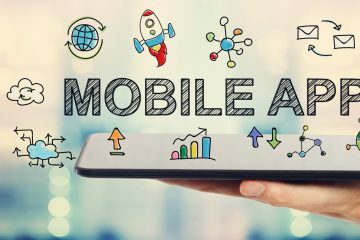 With these tips in mind, you will soon be on your way to developing a successful mobile marketing plan to build your revenue. Are you ready to energize your conversion strategy with mobile apps? Contact us today to learn more about getting started.